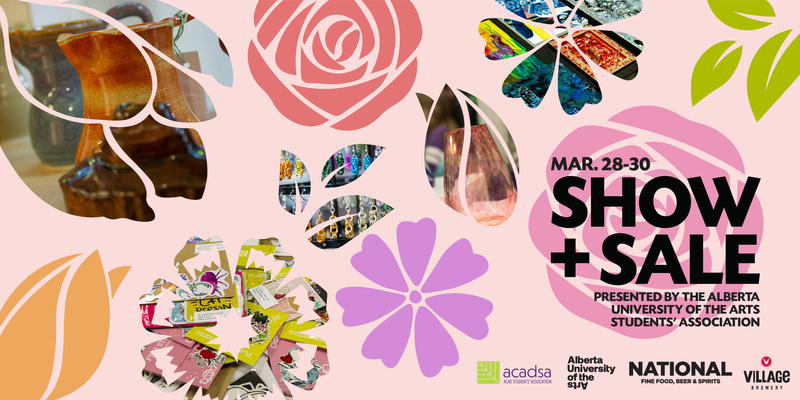 Calgary, Alberta – Be one of the first to experience the latest creations from the designers, craftspeople, and artists at Alberta University of the Arts Students’ Association (AUArts SA) Spring Show + Sale March 28-30, 2019. Over 200 students will showcase 3,000+ pieces of artwork and AUArts SA anticipates this edition of Show + Sale will be biggest one yet. Alberta University of the Arts (AUArts) is a community of thinkers, shapers, makers and risk takers. We are students, faculty, staff, and alumni rich in diversity of culture and thought, challenged to fearlessly explore what moves us, drives us and implores us to see the world differently. AUArts SA is a visible and vocal student-run organization that represents a creative community of students. They promote health and well-being, provide professional growth opportunities and champion students’ interests. Show + Sale is the AUArts Students’ Association semi-annual art market that provides students with the opportunity to showcase their professional work in a public retail setting. Each sale attracts over 1,500 customers, providing emerging artists with a tremendous opportunity to market their skills.